Professor of Business Administration and Investors in Business Education Professor, and Professor of Advertising at the College of Business, University of Illinois, USA. Cele’s work has been published in a variety of journals including the Journal of Consumer Research, and The Journal of Contemporary Ethnography. She is the author of ‘Cinderella Dreams: the Lure of the Lavish Wedding’, and recently, ‘Royal Fever’. Professor of Brand Management at RMIT University, School of Economics, Finance, and Marketing. Mike’s work on brand authenticity and design-­‐driven value has been published in a variety of journals including Design Management Review, Journal of Consumer Research, and Journal of the Academy of Marketing Science. He is the author of ‘Building Brand Authenticity’. Senior Lecturer in Marketing at Cass Business School, UK and visiting scholar at the University of Sydney. Tom’s research has been published in journals including the Journal of Consumer Research, International Journal of Research in Marketing, and the Journal of Business Ethics. Professor of Marketing at the Schulich School of Business, York University, Canada. 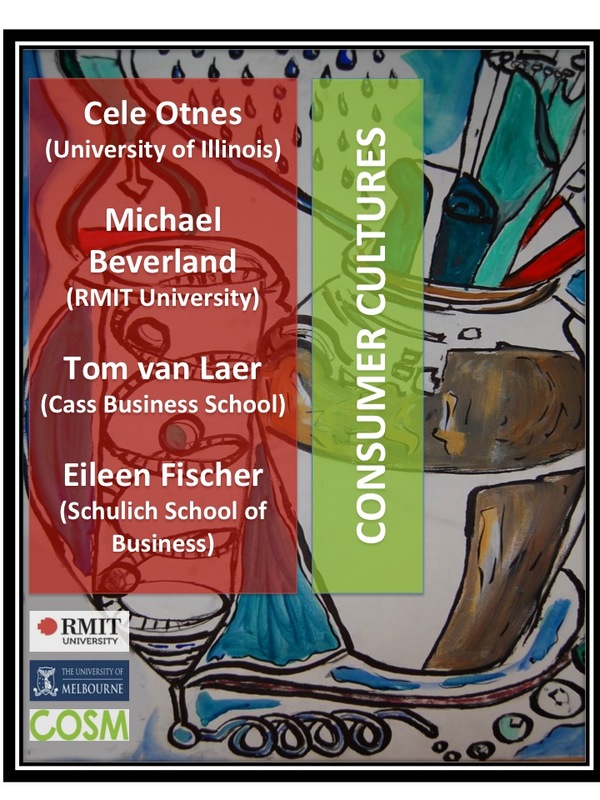 Eileen’s research focuses on how consumers and entrepreneurs shape brands and markets. Eileen edits the Journal of Consumer Research and she has recently published in the Journal of Consumer Research, Journal of the Academy of Marketing Science, and the Journal of Business Ethics.